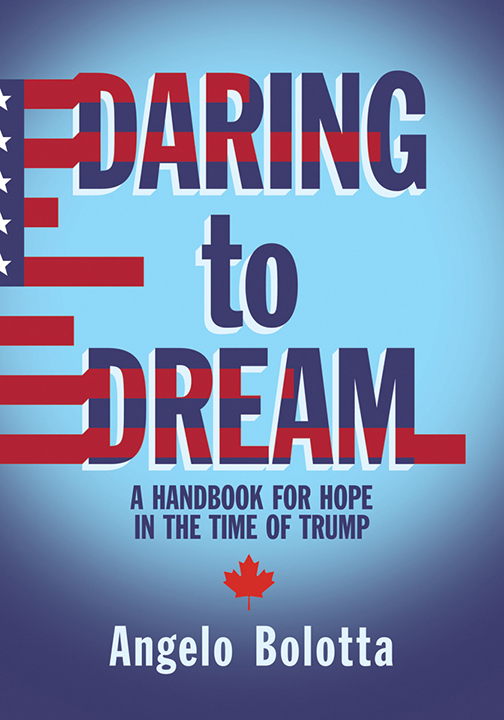 Angelo Bolotta, author of Daring to Dream: A Handbook for Hope in the Time of Trump, will be signing in the Ontario Book Publishers Pavilion on Thursday at 11:20 AM. A handbook that integrates critical thinking and media literacy to refocus democratic dreams on more constructive collective pursuits, to re-energize dreamers, and to help hold elected leaders more accountable for their actions and omissions. Written by educator and curriculum leader Angelo Bolotta.